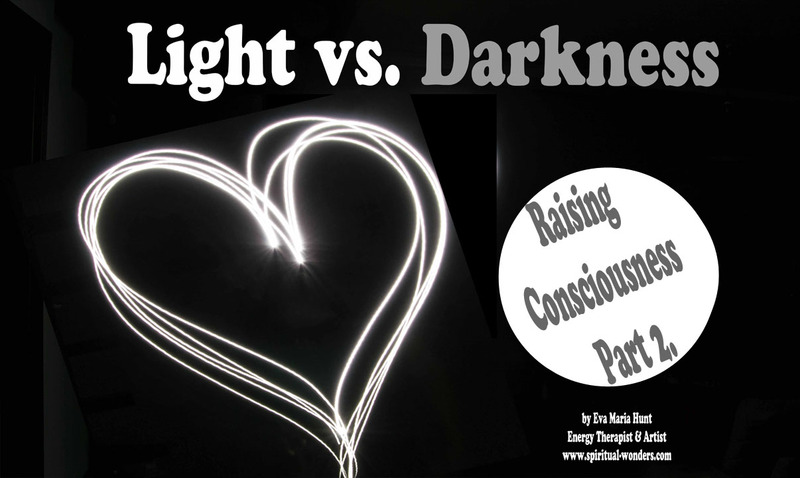 As love and fear are opposing energies, with opposite charges, darkness is the contrary of light. This is a fascinating subject, which was presented by Armin Risi, a Swiss philosopher, poet, and author at the Conference for Consciousness & Human Evolution in London, in 2014. He talked about how our personal choices affect our world regarding darkness and light. He also said in the context of The Secret History of Mankind that: “Light beings became human. They have free will.” Our free will is respected by energy beings, such as Angels, Spirit Guides, animal spirits, etc., who are assisting humanity in our ascension process. However there are beings, like attachments (entities), who don’t respect our free will and want to gain control over our body, our vessel to stir it towards darkness. So we not only have light in our hearts, but actually we are made of light. We have the power to stay this way. He used the famous quote from Jesus: “Ye are Gods”. He says: “this is the key to re-activate the memory of our origin and destiny, as human beings…” How fascinating and empowering is that! “Now we have everything to create a world that is made of light, rather than darkness. Ancient Knowledge and New Science are accessible at the same time. Holistic understanding of nature and origin of the human beings lead to revolution in science and consciousness…” And it is all happening already. You are already part of it in your personal life, and if you wish you can go to a larger scale. I decided to become an ambassador for the Global Coherence Initiative, which is “is a science-based, co-creative project to unite people in heart-focused care and intention, to facilitate the shift in global consciousness from instability and discord to balance, cooperation and enduring peace”. 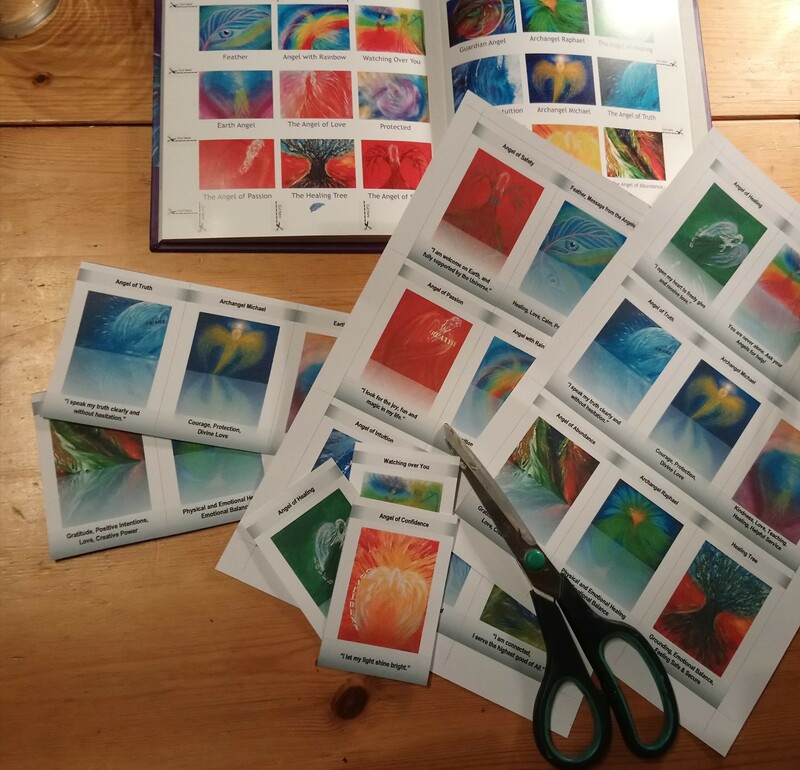 I also am a participating artist for the Global Art Project for Peace to spread love and peace on Earth. What ever your interest, whatever your heart is called to, do your bit in small or large, it doesn’t matter. What really matters is what you think, what you feel, what you do. And the best thing is in order to connect, we do not need to be physically in the same place. Your energy can be sensed at the other part of the planet, if you are connected to the other person. How is it possible? We humans are energy beings, resonating on different frequencies. It is all about tuning into the other person’s energy waves. Like a radio station sends out radio waves, when you tune into a certain channel on your radio, you can receive and interpret those energy waves. This is pretty much what happens, when I do Reiki distant healing, where I am the radio station, or when I have a Skype coaching session with someone, who is emanating those radio waves and I pick up on them and I can sense the issues they are dealing with. More and more people start to see and feel the larger forces at play. We, who have already been living consciously can help to bring this light of knowing and the power of love to others, so they can become aware of their amazing power too. How can we recognise dark forces? they can implement new daily habits, which influence how successful, happy, abundant they can become in their life. With the missing pieces, with this perception of the world, how would they be able to comprehend the fact that energetically speaking there are other beings on this planet too? I know it’s big leap, all I ask from you is an open mind and the benefit of the doubt, i.e. what if? If you learn energy self-care, you can look after your energy body, so you can become healthier on all levels: physically, emotionally, mentally and you can discover your purpose, your calling on the spiritual level. If you are healthier on all of these levels, the negativity and fear starts disappearing from you: you let go of harmful thinking patterns, negative emotions that weigh you down, so the root of your physical illness start disappearing. You become healthier, lighter, your self-worth gets to its rightful level, so you start loving your life and yourself more. This way brighter light and more love can emanate from you, you are raising your vibration and your consciousness. Dark forces can’t stand confidence, love and light! Because you have a sixth sense, a non-physical sense inside of you, working all the time that will raise alarms. You will feel that something is not right in the presence of dark forces, and you naturally keep away from the negative, cold-hearted, unpleasant person. The problem occurs, when you cannot do that, you are not able to separate yourself, because the attachment is tied to one of your family members, who you are living with 24/7, for example, and what’s worse, targeting you. That is a real trap, which I fell into. To be continued… Entities Exist – Part 3.